Go for a simple but at the same time casually edgy choice by opting for a blue v-neck t-shirt and black floral skinny pants. 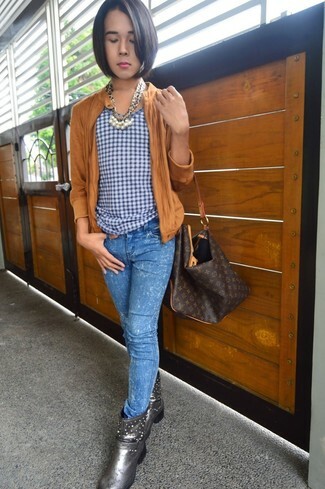 Break up your ensemble by wearing yellow slip-on sneakers. 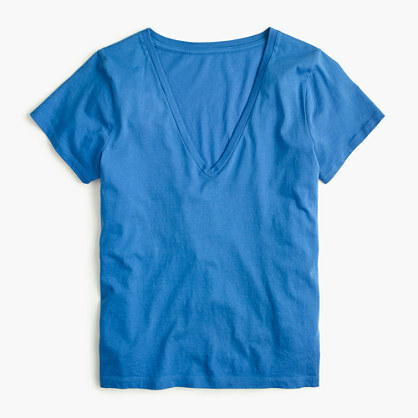 A J.Crew blue v-neck t-shirt and blue skinny jeans are a good outfit formula to have in your wardrobe. Hesitant about how to round off? Introduce silver leather ankle boots to the mix to turn up the oomph factor.